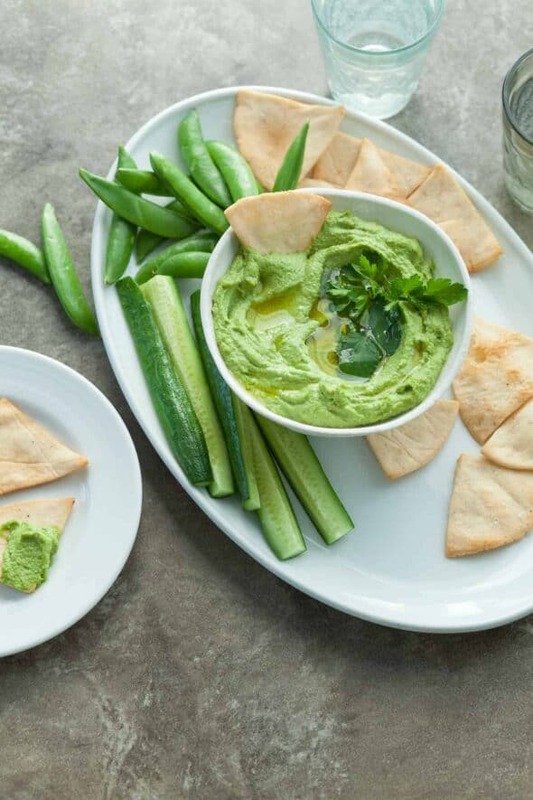 A low carb, paleo-friendly hummus made with almonds instead of chickpeas. Sundays are my shopping and meal prep days. Armed with bags full of fresh produce and ingredients; I hunker down in the kitchen to chop, blend, steam and roast as much as I can for the upcoming week. 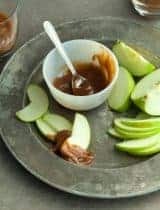 One of things I’ll often make is a quick spread or sauce that will go with just about anything I’ve bought that week. 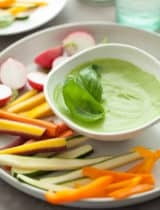 This week it’s a green almond hummus. 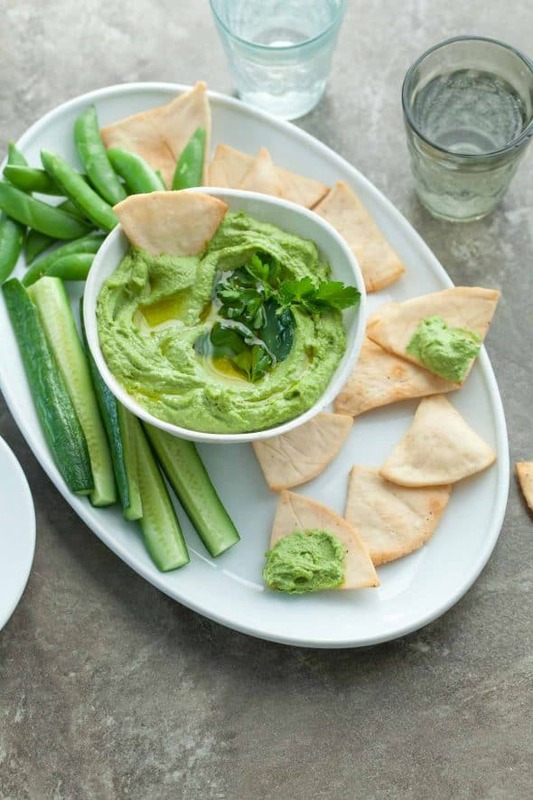 This green hummus is a spicy little number, loaded with fresh flavors. 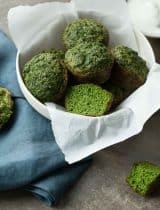 Perfect for both snacking and spreading, it’s a super versatile addition to any meal of the week or dressed up with some crudité for a party platter. 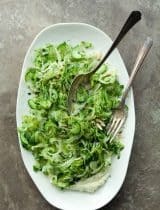 It’s easy to make, keeps well for days in the fridge (in fact an overnight stint in the fridge just makes the flavors even better) and goes with everything from cut up vegetables, to salads, sandwiches and wraps. Unlike most hummus however, there isn’t a chickpea to be seen anywhere in it. 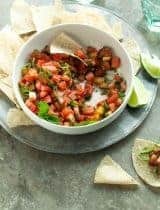 Low-carb and paleo-friendly almonds fill in instead creating a smooth and creamy dip with all the same great texture and flavor as the original. The almonds are quickly soaked in hot water to soften, and then peeled before being added to the blender along with all the usual suspects. 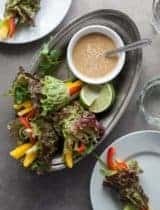 In goes tahini, lemon juice, garlic and cumin, and you could certainly keep it at that and have yourself a tasty little spread but throw in some fresh parsley, cilantro and a jalapeno pepper and you get a fusion of flavors that’s a fun twist on an old classic. 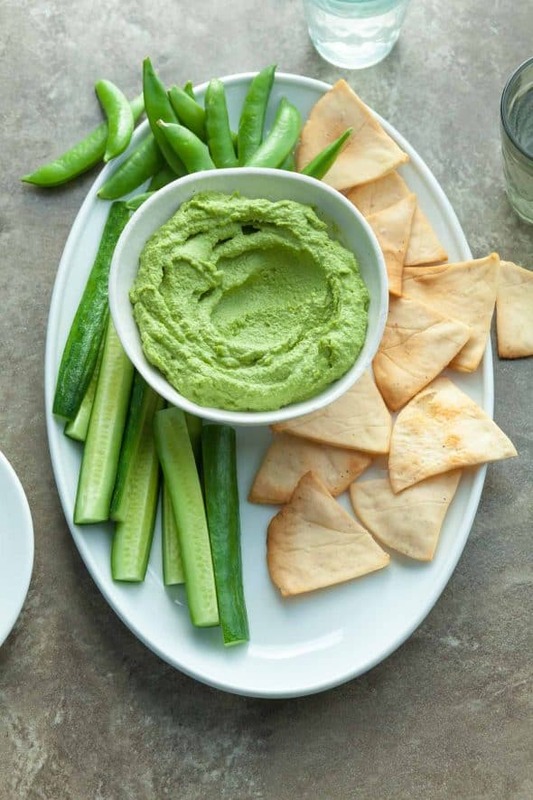 Whether you use it to swipe your cucumber and carrot sticks through, or roll it up in a wrap, this fresh and creamy green hummus with a spicy kick will become a new staple in your house. Cut vegetables and/or chips for serving. 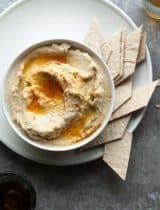 Add peeled almonds and the rest of the ingredients to the blender or food processor and process until the hummus is fluffy and smooth. (Scrape down the sides of the bowl as needed.) Taste and adjust seasoning if needed. Cover and chill until needed. 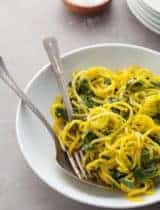 Top with additional herbs and a drizzle of olive oil if desired before serving with cut vegetables or chips.